Award winning author and master storyteller. Read about players, coaches, fans, politicians, sportscasters, and a myriad of others whose poignant perspectives, joyful celebrations and heartwarming experiences all spring from their connection to the Ohio State gridiron. Laugh over hilarious pranks and oddball coincidences. Feast your eyes on the photos that bring these stories to life. Co-authors Jack Park and Maureen Zappala create a unique, if not uncanny partnership of an Ohio State grad and a Notre Dame grad. They met in 2015 through the National Speakers Association, and developed a friendship based upon mutual love of both professional speaking and college football. 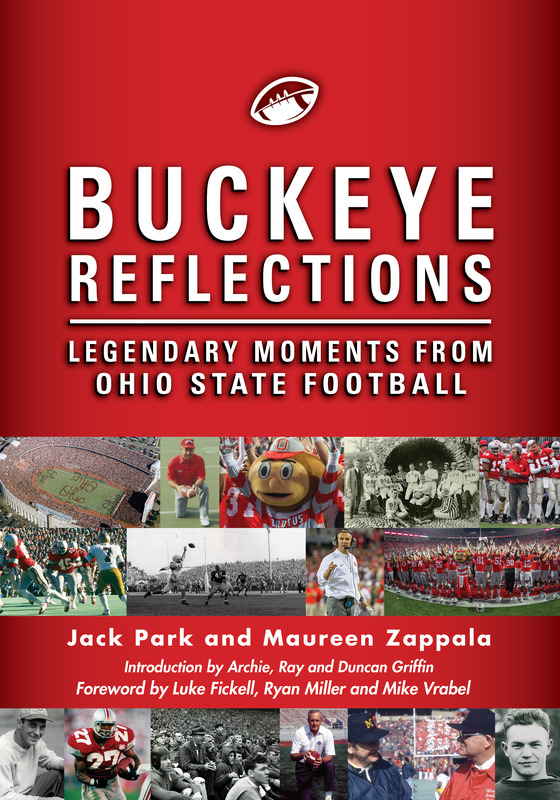 With Jack’s vast Ohio State knowledge and Maureen’s writing and internet sourcing skills, they embarked on a delightful two year journey of researching, interviewing, writing and rewriting to produce this fine compilation of some very cool Buckeye stories. 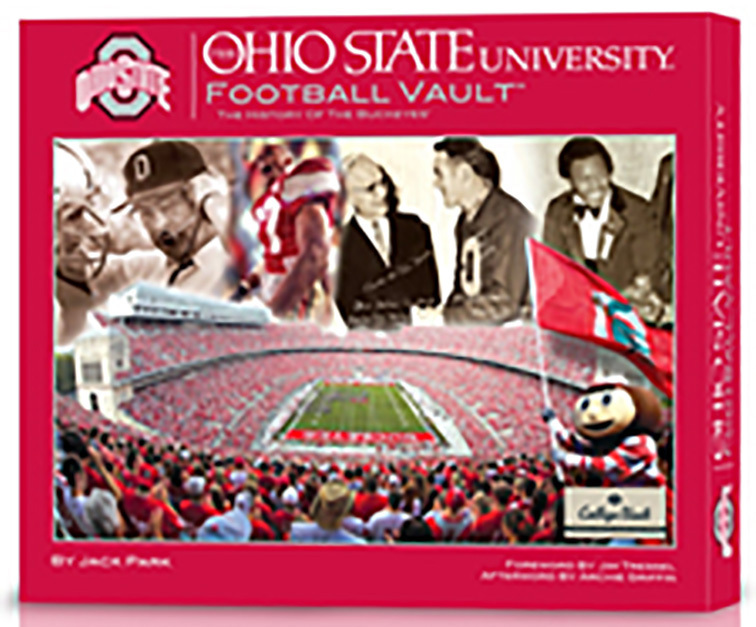 The “Vault” is a distinctive scrapbook of Buckeye lore. It contains 144 full color 12" x 10" pages, plus removable reproduced program covers, tickets, playbooks, and other outstanding memorabilia. It includes many never before published photographs and sketches. This exceptional publication comes in a very attractive collector’s box. It has the highest volume of sales for a book of its type ever published by Whitman Publishing. Ohio State is one of college football's most fabled programs. 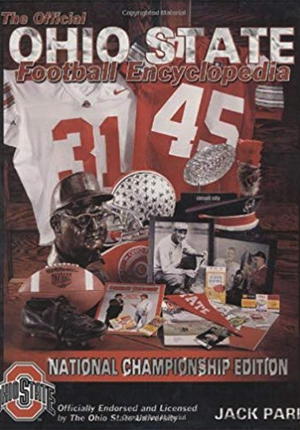 The “Encyclopedia” describes the tradition and rich history of Ohio State football, and the coaches and players who made it happen --- Chic Harley, Archie Griffin, Vic Janowicz, Les Horvath, Bill Willis, Woody Hayes, Sid Gillman, Earle Bruce, John Cooper, Jim Tressel, Urban Meyer, Hopalong Cassady, Eddie George, Troy Smith, A.J. Hawk - the list goes on and on. The book includes the schedule and scores for each season, beginning with 1890. It includes a special section with many colored photographs from the 2002 National Championship season. 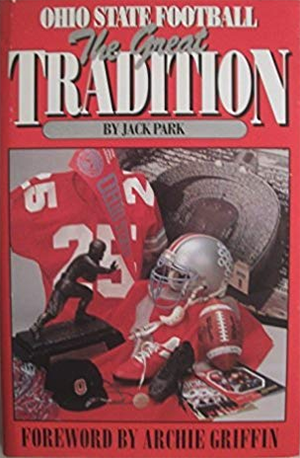 Jack's first book examines the tradition and storied history of the Ohio State Buckeyes against each of the other Big Ten teams. Additional chapters highlight key non-conference contests and major bowl games. A very unique “Halftime” section features many anecdotes of humorous, unusual, and outstanding happenings. The Certified Speaking Professional (CSP) designation, conferred by the National Speakers Association (NSA), is the speaking profession’s international measure of professional platform skill. Fewer than 7% of NSA’s 3,000 members have earned the CSP. What is a Certified Speaking Professional (CSP)? Meeting Professionals: CSPs Make Your Job Easier! © 2019 Jack Park. All rights reserved.